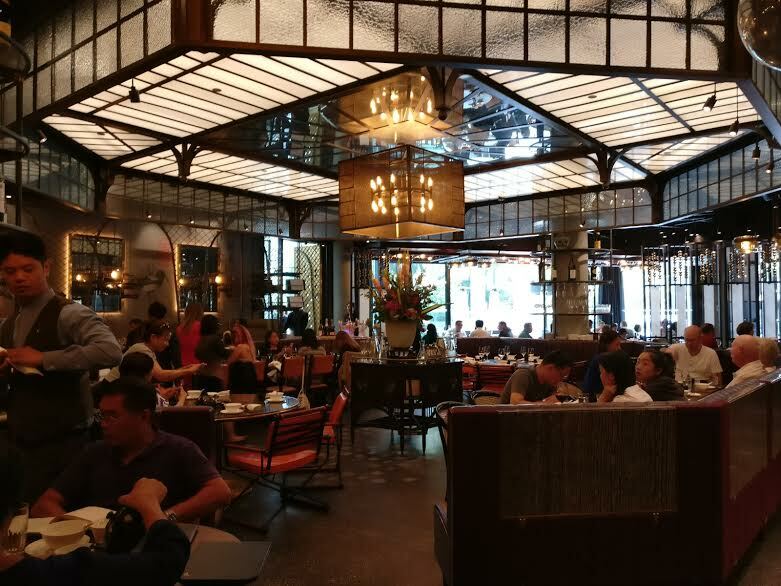 Recently, I was invited to a tasting at Mott32 in downtown at the Trump International Hotel for their new summer menu. It was a great experience! The ambiance was great and the inside of the restaurant was very pretty and photogenic (aka #instaworthy). Mott32 is quite an unusual name for a Chinese restaurant, isn’t it? It is named after a street in New York, 32 Mott Street because it was the site of NYC’s first Chinese convenience store. 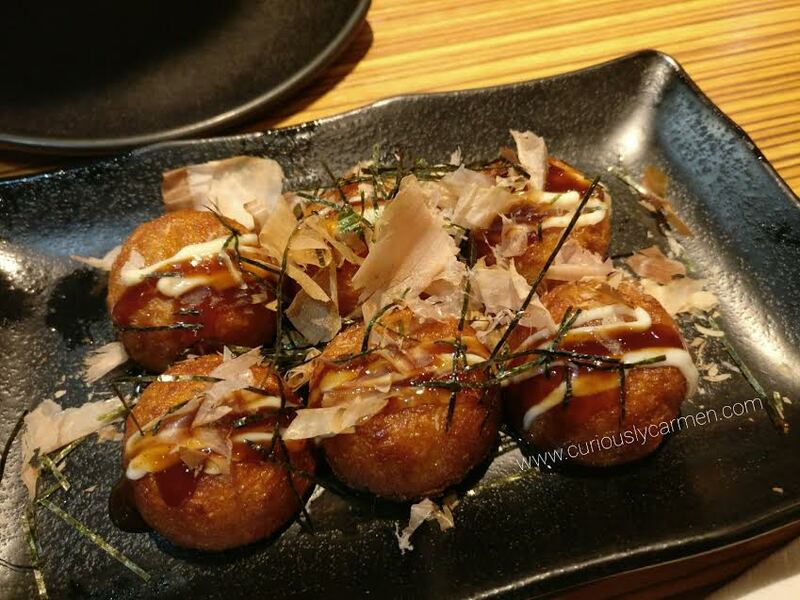 There are also Mott32 locations in Hong Kong, Bangkok, and Las Vegas. Here are the new dishes for the summer. Each of these dishes took an unique and fancy spin on dim sum dishes. I love when restaurants are really creative with their dishes! 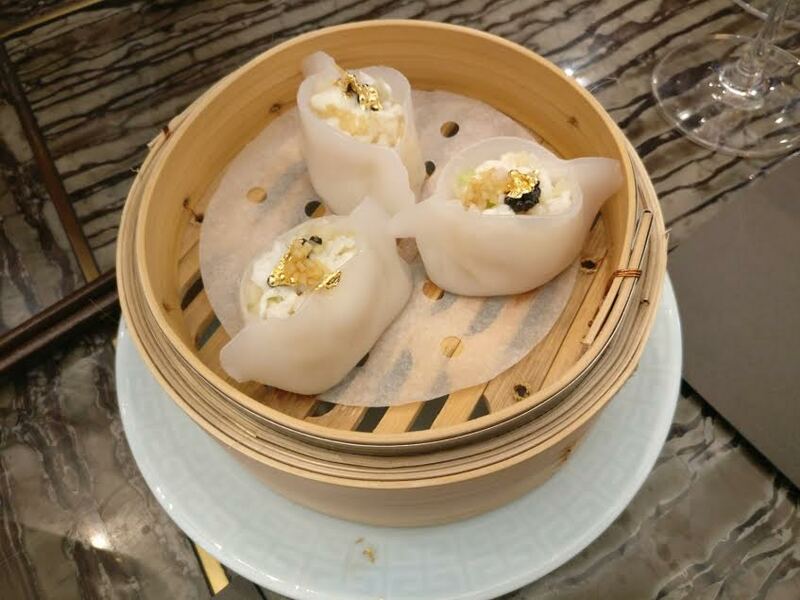 South Australian Scallop, Garoupa, Caviar & Gold Leaf, Egg White dumpling: We started with a steamed dumpling. I’ve never had such a fancy dumpling before. It was tasty and the egg white texture went well with the scallop and garoupa (type of fish). 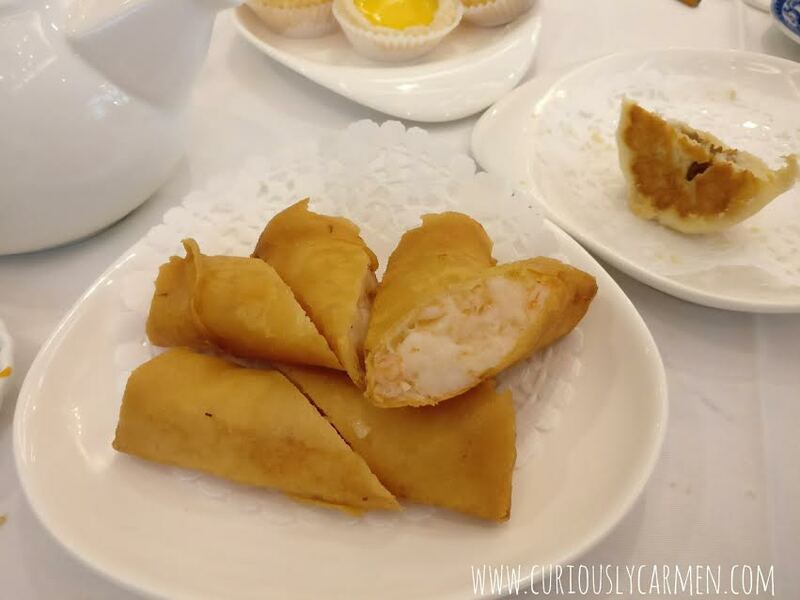 King Prawn Garlic Spring Roll: This is my guilty pleasure at dim sum. The spring roll was very fresh and crunchy. The prawn inside had a nice snap to it too. No complaints! 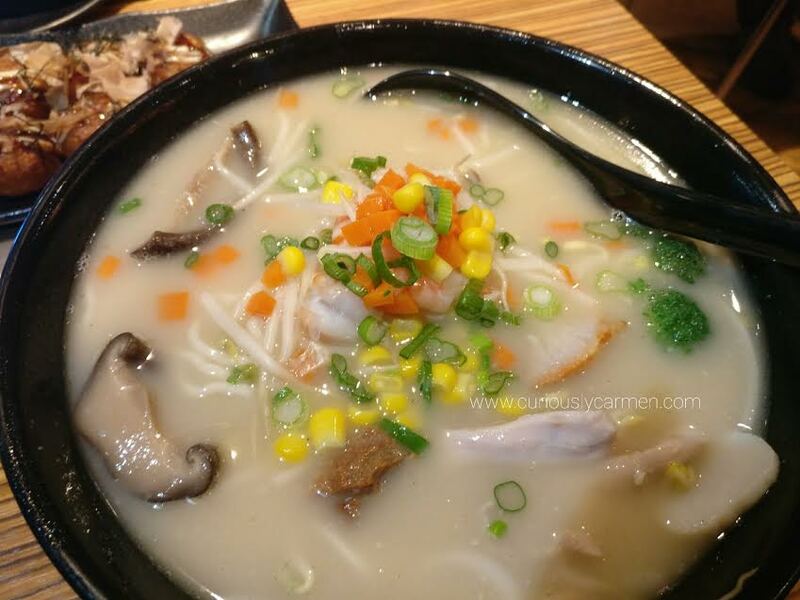 Blue swimmer crab meat, conpoy, winter melon soup: An upscale twist on the fish maw soup. 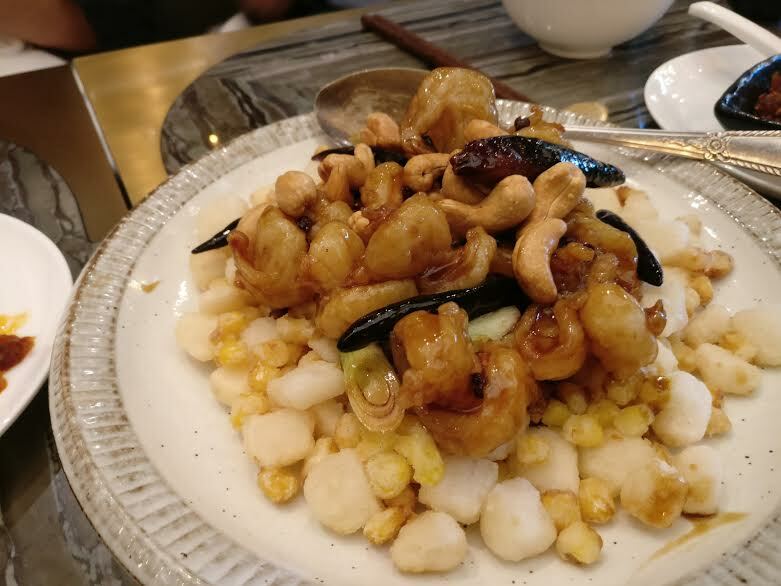 Instead of using fish maw, they used conpoy which is made from the abductor muscle of scallops. 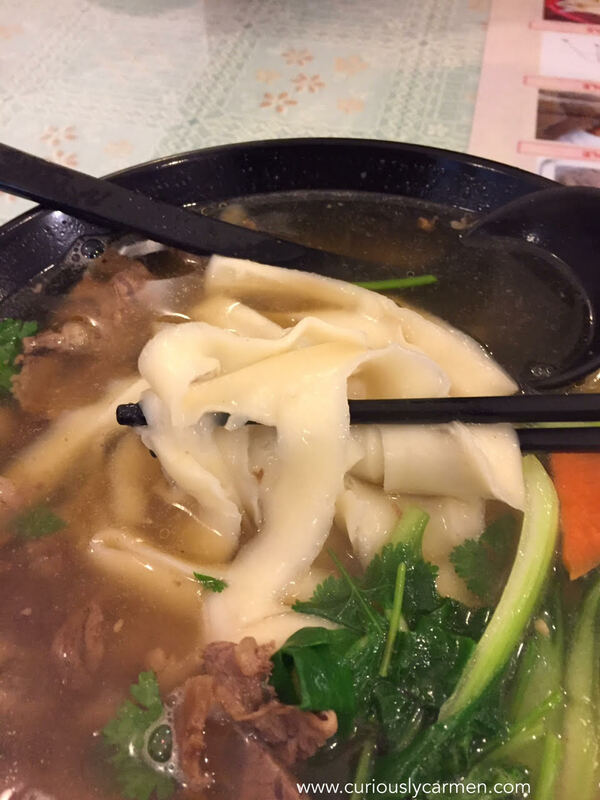 The soup had the same gelatin-like texture. 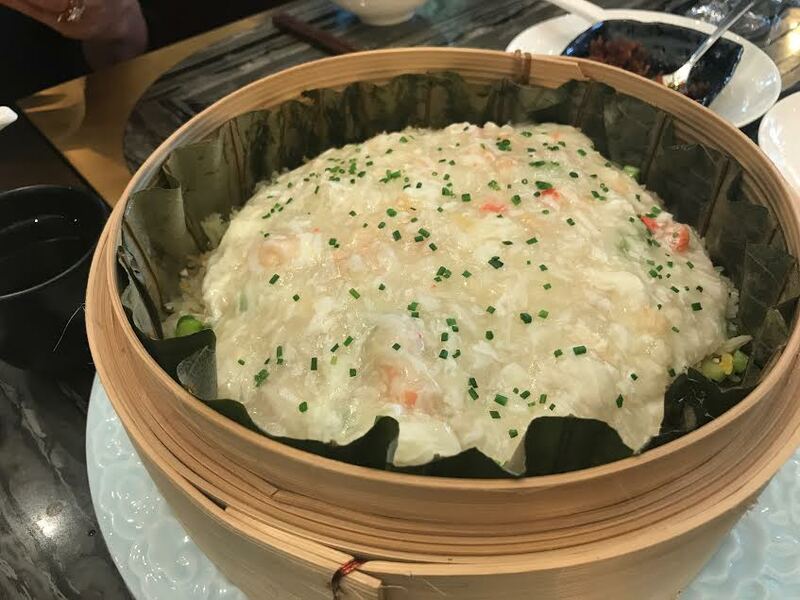 There was also generous chunks of crab meat and thinly sliced winter melon. It was delicious. Cold free range chicken, coriander, and black truffle: Another spin on your traditional cold chicken dish. This was truly unique as I never had Chinese cold free range chicken and black truffle together! They also added truffle oil so it was really aromatic. However, there wasn’t a lot of truffle oil taste. White asparagus, crab meat, honey peas: Our veggie dish was white asparagus, which I thought was rice noodles when it first arrived. 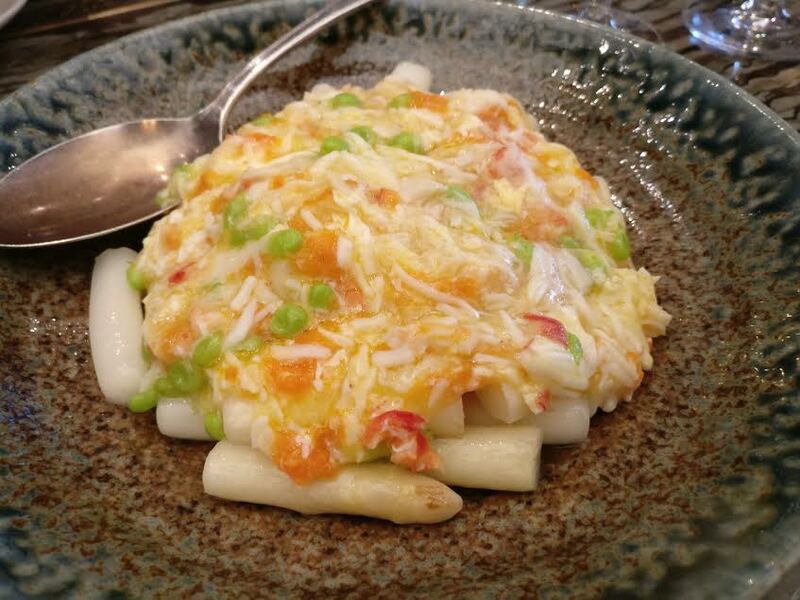 The asparagus was covered in a delicious sauce made up of egg, crab meat, and other veggies. 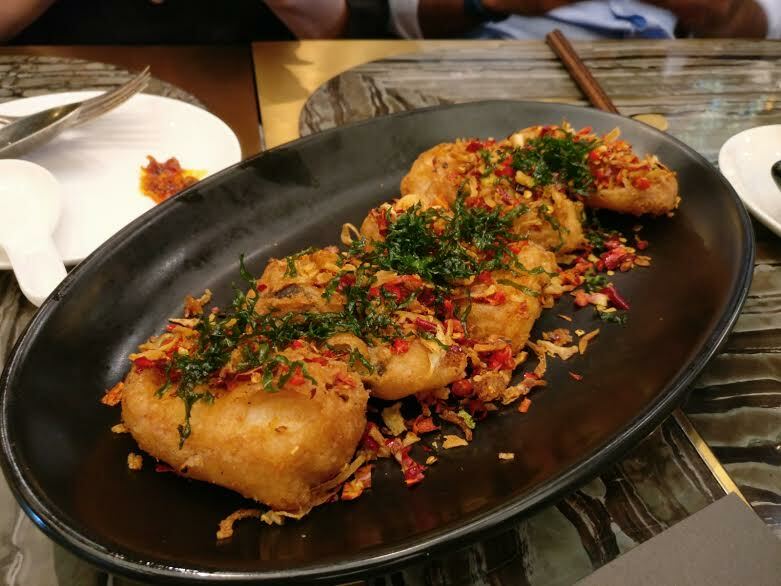 Crispy cod fish with golden garlic and chili: The cod fish was deep fried and then covered with lots of chili and garlic. 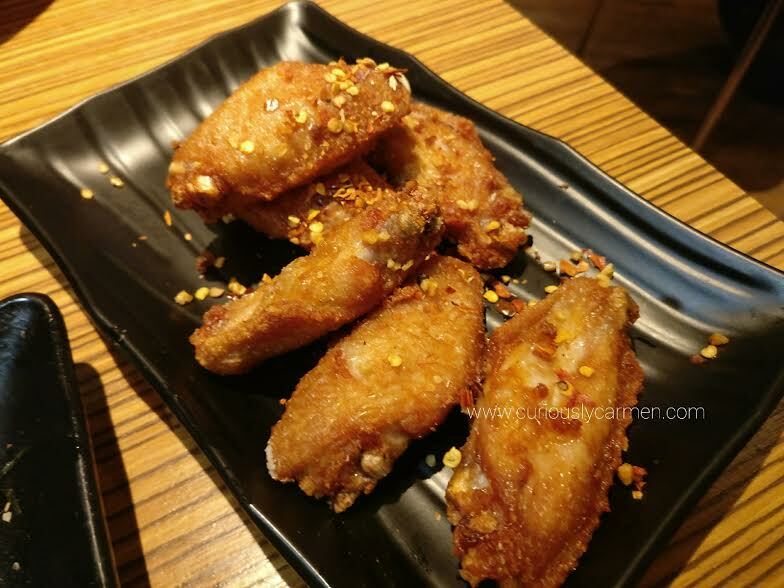 For most of us, we found it to be very spicy! It doesn’t look too spicy, but it was! I dusted off a lot of the chili flakes which helped it to be less spicy. The batter of the cod fish was very fresh and crispy. Kung po prawn, sweetcorn, and water chestnut cake: This dish was sooo unique and unlike anything I’ve had before. 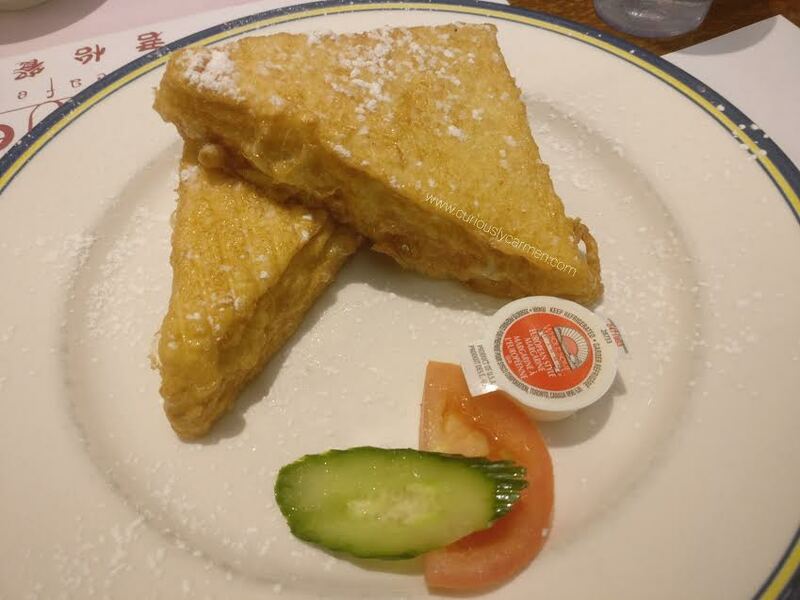 It was so delicious and I haven’t stopped thinking about it, and I want to try to find a way to re-create this at home. 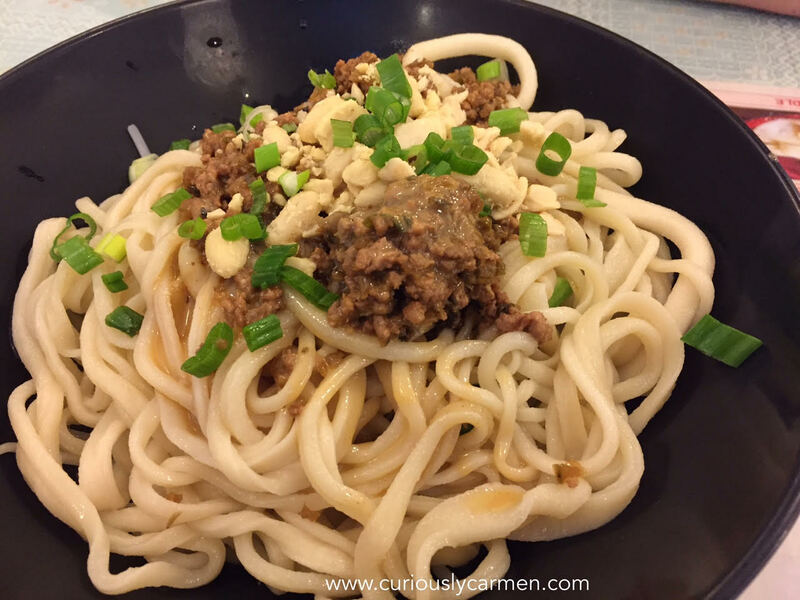 The bottom layer was like a ‘pancake’ of chopped water chestnuts and corn which was lightly fried. I’ve never had water chestnuts in this way and thought it was so innovative! On the top, was stir fried prawns and cashews. Texture wise, it was so unique with the crunchy properties of water chestnut. Even when I tried to Google recipes similar to this to make again at home, I couldn’t find much on it which shows how innovative this dish is. 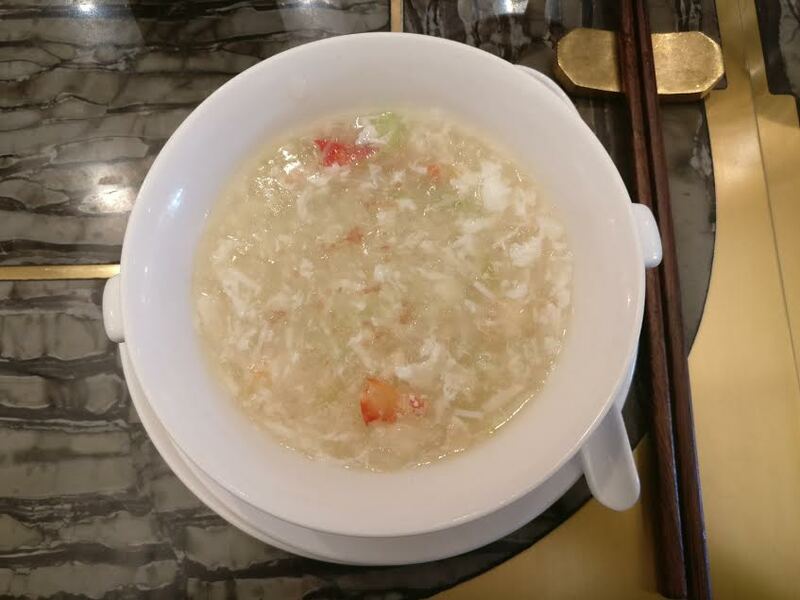 Alaskan crabmeat, egg white fried rice: In Chinese banquet style dinners, rice or noodles usually are the last to arrive after all the main courses. My own thoughts to this is because people can fill up on other things instead of carbs. Anyways, the fried rice was delicious. 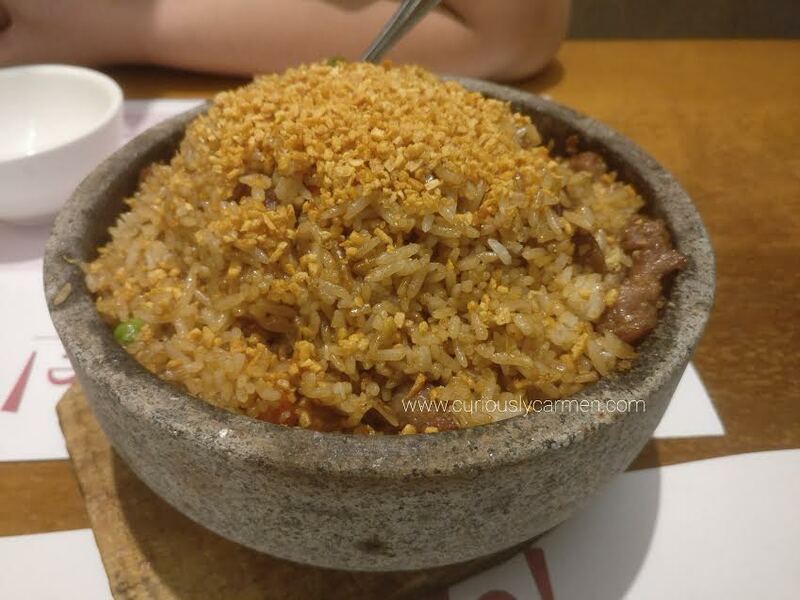 It was a saucy type of fried rice. Some of us found it to be a bit too salty, but I thought it was good. 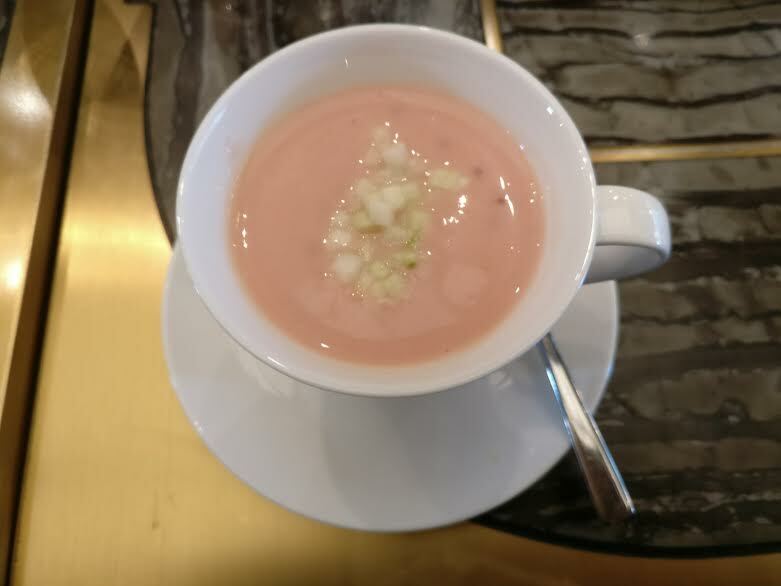 Guava, pomelo sweet soup with sago: Mmmm… another super unique dessert that I haven’t seen before! This was a blend of guava and pomelo into a smooth and rich smoothie…with sago in it. It was so refreshing and such a nice way to end the tasting. I’m a huge fan of guava so I absolutely loved this. I really enjoyed all of the new summer dishes that Mott32 had to offer. This isn’t their whole menu of new summer dishes, there are also some new ones that we did not sample! 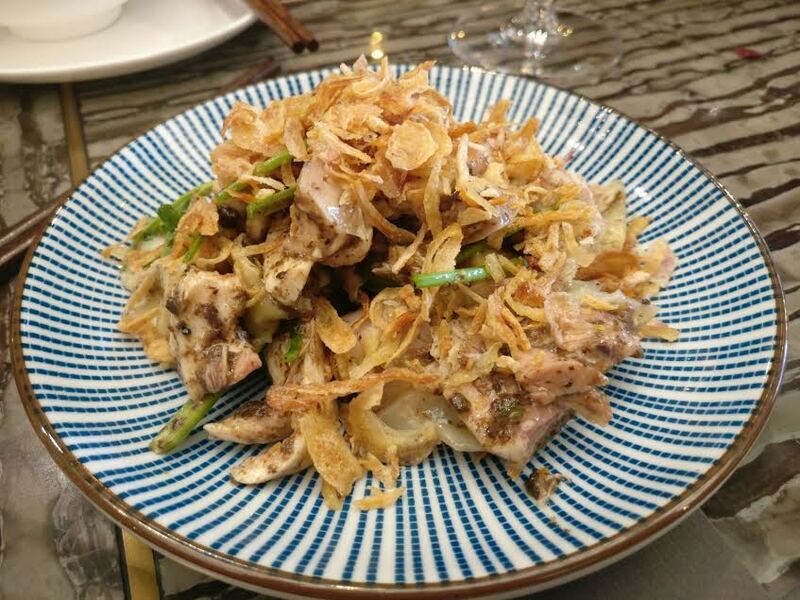 All of Mott32’s dishes are made fresh daily and never frozen. They also do not use any MSG in the cooking, so I was not left parched and feeling gross afterwards! 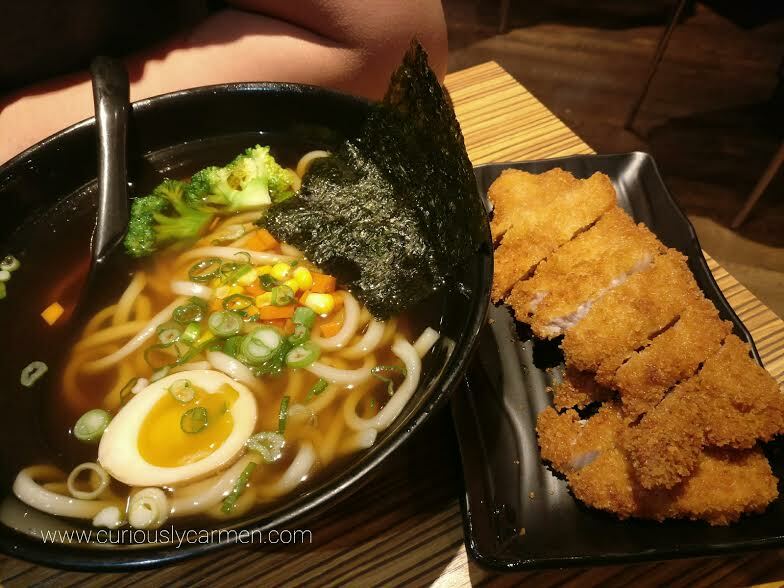 With the uniqueness and quality of the food, along with the beautiful ambiance, dining at Mott32 is not cheap so I would save it for a special occasion. I was thinking that it would be nice to take my parents here since they haven’t had such an elevated dim sum dining experience before. 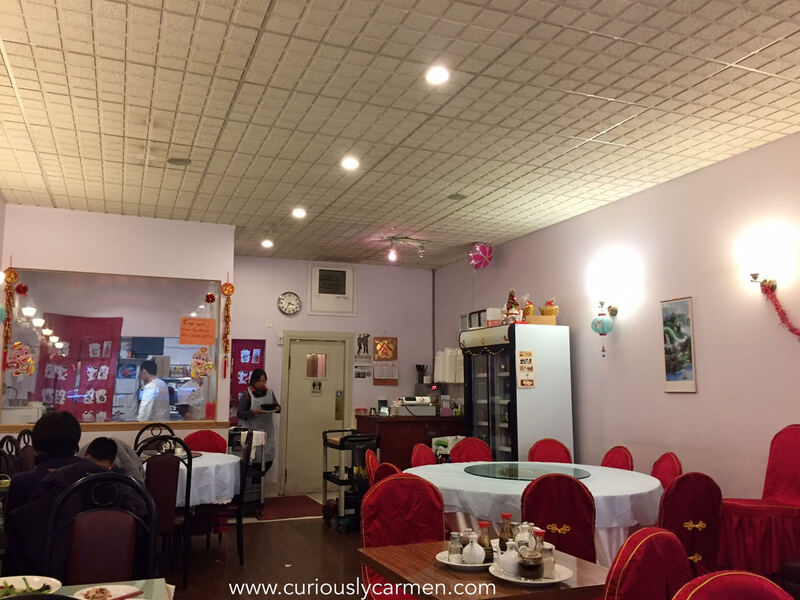 It was a special occasion, so my parents, boyfriend and I decided to try a different and more upscale Chinese restaurant for dim sum. Grand Dynasty is located in Grand Villa casino by BCIT. A good thing about this place is that there is lots of free parking! There is a designated parking lot beside the restaurant, but most people don’t see it because the casino is covering it. I believe you can also use the multi-level free casino parking lot, but I’ve never tried that… so if you get a ticket, it ain’t my fault! 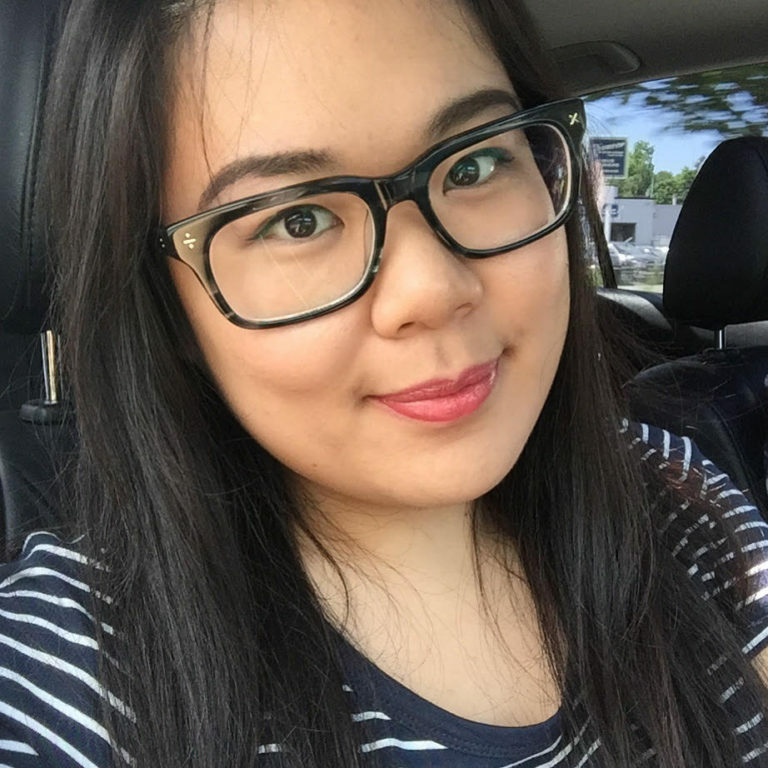 We didn’t think that we needed reservations on a late Friday afternoon as dim sum peak hours were finished, so we were quite surprised when we were told there was a 30 minute wait! But we wanted to try this place, so we waited and looked at the menu. It actually ended up only being a 20 minute wait so yay! Garlic shrimp spring rolls: The garlic shrimp spring rolls were so tasty! The shrimp inside was fresh, bouncy and plump. There was also a good amount of garlic inside. The spring roll shell itself was fresh and crunchy. 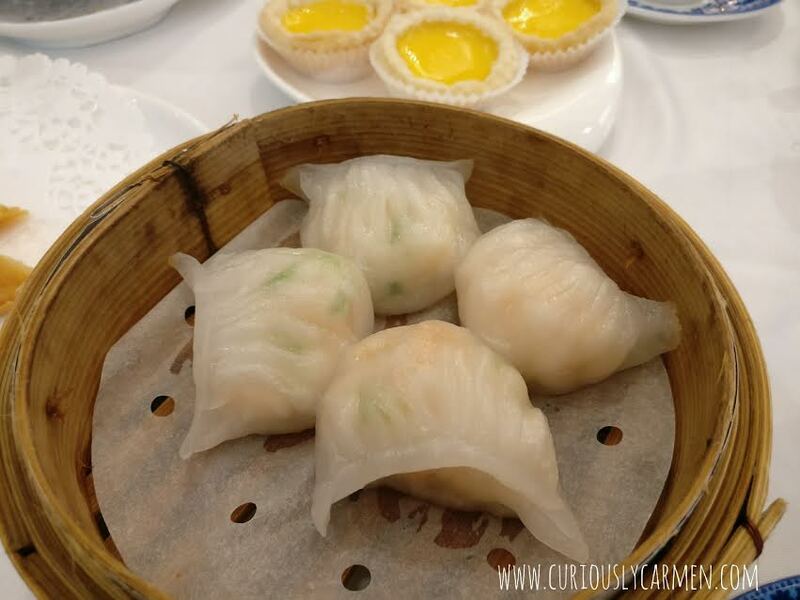 Shrimp dumpling: A classic dim sum dish. Again, the shrimp and veggies inside tasted fresh. However, we found it to be a bit smaller than average so that was a bit disappointing. 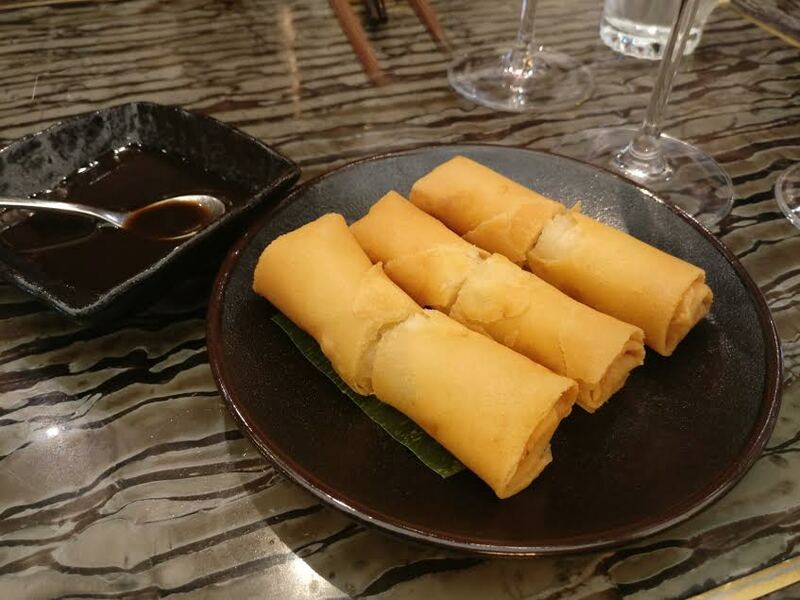 Sticky rice wrap: I’m used to seeing the sticky rice wrap served individually, so was a bit surprised when it came out in one big wrap to share! But I was told that this is the traditional way of serving it. I actually preferred it this way because sticky rice is always so filling. With this method, I can scoop less so I don’t end up feeling super stuffed. 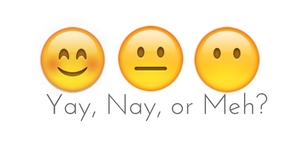 Anyways, moving on to the taste… it was tasty, no complaints. A good amount of meat inside as well. 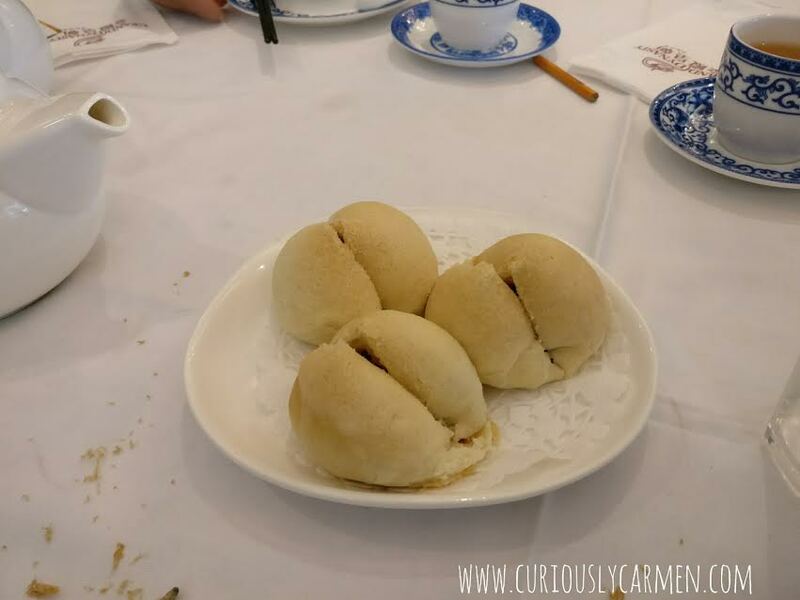 BBQ pork buns: We really love Wah Lun‘s BBQ pork buns, so we wanted to see how it compared. Wah Lun’s was definitely better. Although the BBQ pork buns weren’t bad, we were all disappointed by the size of them. 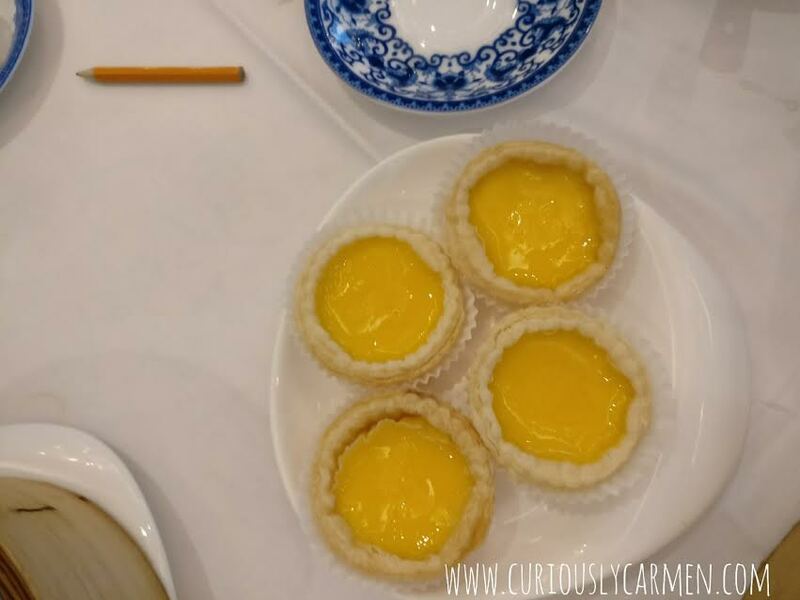 Egg tart: The egg tarts were warm and delicious with a nice flaky shell. 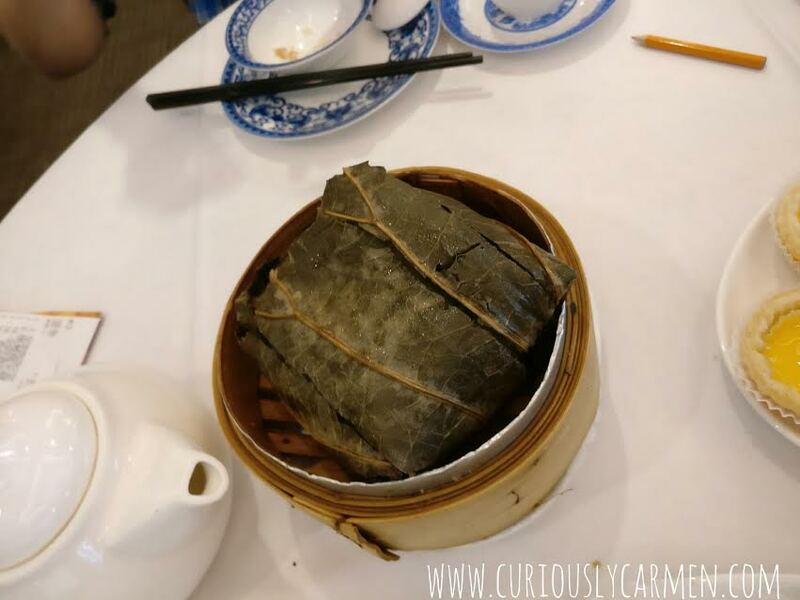 But as with the shrimp dumpling and BBQ pork buns, we all thought the size was small. We ordered more dishes for the four of us, but I was too hungry and tired that day to remember to take more photos. The food taste and quality of the food is there, but the sizes were a bit smaller than we were all used to. The prices are also a bit higher since it is more upscale. Grand Dynasty wouldn’t be our first choice for dim sum, but I don’t think we would mind coming back if a relative suggested it.